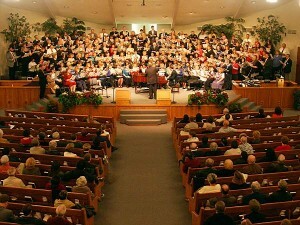 Dr. Bonner’s choral workshops focus on the development of skills and attitudes conducive to effective worship. They typically include a Friday evening session, all day Saturday, with a worship concert on Saturday night. Singers report enhanced sight-reading, improved musical confidence, life-changing individual growth, and a better understanding of the choral unit in the church as well as the role of the conductor. Dr. Bonner’s approach to choral workshops is unparalleled and unsurpassed by any other. His inspiring methods are not only succinct and understandable, but immediately transferable and timeless. Dr. Bonner’s unscientific but artistic style helps equip singers and musicians of all levels with the tools they need to move forward in their quest for a higher quality of musicianship in the Church – whether it’s singing, playing an instrument or conducting. His sense of humor, commitment to inspire excellence and to enrich lives in the music making process causes you to learn from the edge of your seat. Singers report taking away a new realization of how to spin the voice to produce a better tone while simultaneously generating more power with less effort. Many also confirm achieving better sight reading ability and an increased confidence to attack the music with increased breath control. Dr. Bonner’s Choral Workshops are like a luxury – once experienced, they almost become a necessity. – Steven Kirkpatrick, Conductor, Central Texas Master Singers, Belton, Texas.